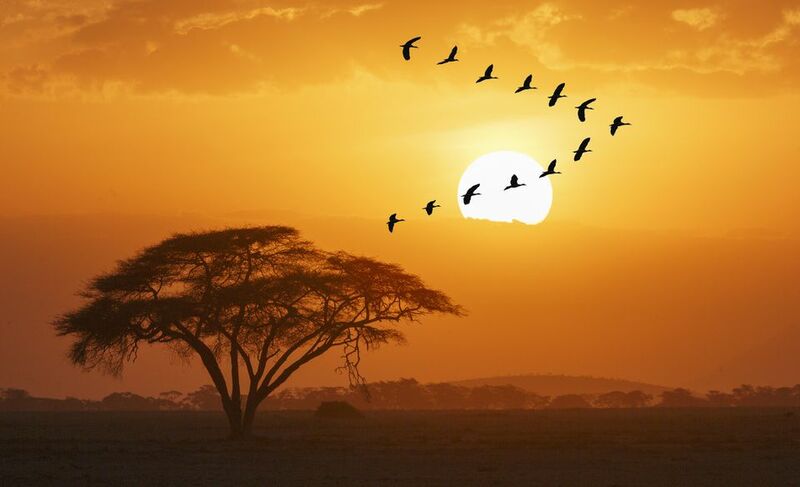 The word "Africa" is an evocative one that conjures up different images for different people. For some, it's an ivory-tusked elephant standing before the snow-capped peaks of Mount Kilimanjaro; for others, it's a mirage shimmering on the horizon of the arid Sahara Desert. It's also a powerful word—one that speaks of adventure and exploration, corruption and poverty, freedom and mystery. For 1.2 billion people, the word "Africa" is also synonymous with the word "home"—but where does it come from? No-one knows for sure, but in this article, we take a look at a few of the most likely theories. Some believe that the word "Africa" came from the Romans, who named the land they discovered on the opposite side of the Mediterranean after a Berber tribe living in the Carthage area (now modern-day Tunisia). Different sources give different versions of the tribe's name, but the most popular is Afri. It is thought that the Romans called the region Afri-terra, meaning "the land of the Afri". Later, this could have become contracted to form the single word "Africa". Alternatively, some historians suggest that the suffix "-ica" could also have been used to mean "the land of the Afri", in much the same way that Celtica (a region of modern-day France) was named after the Celtae, or Celts that lived there. It is also possible that the name was a Roman misinterpretation of the Berber's own name for the place in which they lived. The Berber word "ifri" means cave, and could refer to the place of the cave-dwellers. All of these theories are lent weight by the fact that the name "Africa" has been in use since Roman times, although initially it only referred to North Africa. Others believe that the name "Africa" was derived from two Phoenician words, "friqi" and "pharika". Thought to translate as corn and fruit, the assumption is that the Phoenicians christened Africa as "the land of corn and fruit". This theory does make some sense - after all, the Phoenicians were an ancient people who inhabited the city-states on the east coast of the Mediterranean (what we now know as Syria, Lebanon, and Israel). They were adept seamen and prolific traders and would have crossed the sea to trade with their ancient Egyptian neighbors. The fertile Nile Valley was once known as the breadbasket of Africa—a place with more than its fair share of fruit and corn. Several other theories are connected to the continent's climate. Some believe that the word "Africa" is a derivation of the Greek word "aphrikē", which translates as "the land that is free from cold and horror". Alternatively, it could be a variation of the Roman word "aprica", meaning sunny; or the Phoenician word "afar", meaning dust. In reality, Africa's weather cannot be so easily generalized - after all, the continent comprises 54 countries and countless different habitats, ranging from barren deserts to lush jungles. However, ancient visitors from the Mediterranean remained in North Africa, where the weather is consistently warm, sunny and dusty. Another theory claims that the continent was named after Africus, a Yemenite chieftain who invaded North Africa sometime in the second millennium BC. It is said that Africus founded a settlement in his newly conquered land, which he named "Afrikyah". Perhaps his desire for immortality was so great that he ordered the entire landmass named after himself as well. However, the events on which this theory is based took place so long ago that the truth of it is now difficult to prove. This theory suggests that the continent's name came from even further afield, brought by traders from modern-day India. In Sanskrit and Hindi, the root word "Apara", or Africa, literally translates as a place that "comes after". In a geographical context, this can also be interpreted as a place to the west. The Horn of Africa would have been the first landmass encountered by explorers crossing westwards over the Indian Ocean from the south of India.